Today’s post comes from the NaBloPoMo prompt: “Compare yourself to an element of nature” which was the prompt suggested for yesterday, April 2nd, because the A to Z treatment of Reason Creek’s participation in the A to Z Challenge is over and above NBPM’s rather minimal requirements. Some might even say it is over-the-top to include two blogs in A to Z while having one of them also be included in a NBPM challenge, but that would be an O or T post, and not a C post. Actually the prompt for today on NBPM could be another C prompt but I will cover the CAMPING prompt another day when I blog about “tree stumps and time outs.” I’m not sure whether I will use it for my T post or as a weekend free or open-writing topic blog post. If this all makes no sense to you, don’t worry. It is a bit manic writing-wise, and there is no reason you should understand. The crux of the matter is simple… and a great C word. Challenges (Ooh Ooh another C word!) can ramp up productivity for some writers, and while I could not blog ever single day, an occasional monthly challenge does provide me with motivation. Basically, all I am doing is writing every single day on this blog, Reason Creek, in order to participate in BlogHer’s monthly writing challenge grew out of NBPM, aka National Blog Posting Month. Yes, the challenge occurs every single month, so participate whenever you get the notion to do so. Participation is free and easy. Just follow the link earlier in this post. But since I am writing every single day for NBPM I asked myself, “Self, why not mix up the challenge a bit and have each post sequentially focus on individual letters in the English Language so I can have every post serve double duty and include it in the April A to Z Challenge too?” Rather than get in an argument with myself, I just decided to make this blog’s April posts serve two blogging masters. Then I decided that what I was supposed to be working on was my site, that has a blog, but also other elements, as that is part of my business. If I participated in this A to Z Challenge for BoomHer.net, the new business site would have more very much-needed content. 26 BoomHer-related topics on the basics of women of a certain age changing everything while using the latest global communication tools. So as soon as this is posted, I am off to Boomher.net to write about cohorts – the C word on that site. So shall I actually compare myself to a Summer’s Day or an element of nature? Nah. 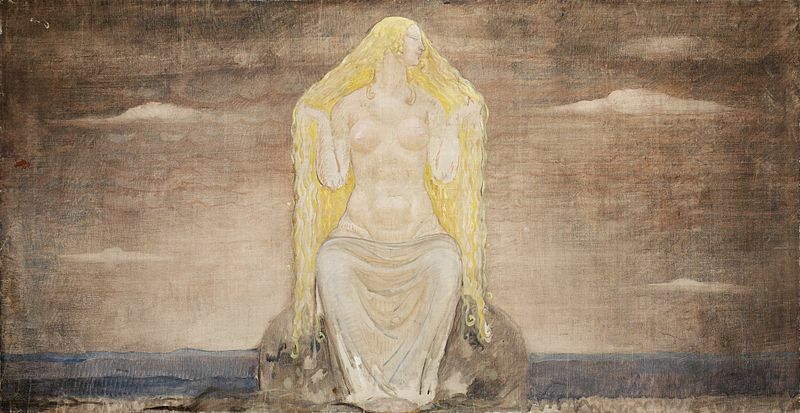 Other than the very real fact that I consider my ultimate role model to be a Northern European Goddess, Nerthus, probably the Mother of Freja. She is of the swamp and very powerful… just like me. She could write two blog posts every day for a month, no problem.